Several opportunities were missed to correct errors in the wording of documents sent out by Northern Rock, which left the bank in breach of consumer credit laws, a report has found. After the faults were finally spotted last year, UK Asset Resolution - the holding company which manages Government-owed parts of Northern Rock - said customers would be compensated for interest charged during the period when their documentation was not compliant, at an expected cost of around £270 million. The issue of compensation was not discussed in the report by accountants Deloitte, who were called in by UKAR last December to find out how the mistakes were initially made and make recommendations to prevent a repeat. Deloitte found that, in the months after Northern Rock was nationalised in February 2008 following the run on the bank, it started sending out arrears notices and annual statements to customers with unsecured loans which did not include the prescribed wording or details of the original amount borrowed, as required by the 2006 Consumer Credit Act, which came into effect that year. The report found that the period when work was done on implementing the requirements of the Act was "characterised by significant uncertainty and management stretch" at Northern Rock, which might have "affected the performance of individuals" and contributed to "apparently poor project management". It also found that questions were raised about the wording of the documents as early as July 2008, but no action was taken. A later review in July 2009 identified that some required wording had been omitted from the arrears notices, but the discovery was not "escalated" to senior management. 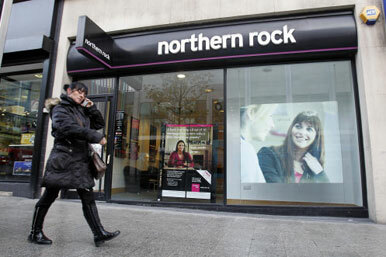 Further issues were identified in August and September 2009, and a review was conducted by Northern Rock's legal team in 2010, without the problems being ironed out. Deloitte made a number of recommendations to tighten up risk management and monitor legislative compliance, which were accepted without reservation by UKAR's board.